1 capsule a day, on an empty stomach. 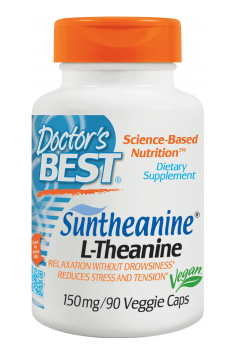 L-Theanine is a safe preparation and very well-tolerated by the organism. Usually the dose of 100-200 mg a day is used. The preparation should be taken on an empty stomach. Positive effects are felt after around one hour from the moment of application and are maintained for another several hours. L-Theanine is often combined with caffeine (in equal proportions). A pleasant effect of stimulation ad concentration may be felt, without nervousness or excessive stimulation, characteristic to caffeine on its own.